1. A fully completed and signed Application Form. Secondary School Certificate (the accumulation of 12 years of schooling). 3. Photo copy of National Registration Card. 4. Recommendation letter from Church Pastor for good character. 5. Two recent passport-size color photographs. 1. For academic eligibility for admission to degree courses, applicants are expected to have satisfactorily completed Higher Secondary School (Grade 12). 2. Request an application form from the Office of Registrar with Ks 500 application fee. 3. Applicants planning to enter the College’s freshman program may be required to take entrance examinations as specified by the faculty. blank, unless you are responsible for your own financial account. 1. Meet the Registrar for your registration and submit your Re-admission letter. 2. Make financial arrangement with the VPFA and get approval. 3. Meet the VPSA and receive a copy of Student Handbook and a copy of Student Pledge. If you plan to stay in the hostel, you will need to present your acceptance letter and financial clearance paper to the dean of hostel and get his/her signature on the registration form prior to meeting with the VPSA. 4. Meet your hostel dean (Boarding student only). 5. Meet your work-supervisor for your work assignment. 6. Meet your curriculum advisor for selection of courses; to be taken and proceed further for approval of VPAA. 7. Meet your Department Head for your schedule of classes. 8. Meet VPAA for approval of your class-load and courses. 9. Submit your registration paper to Treasury Office. 10. Submit your registration paper to your Registrar’s Office. Students are expected to be on time for the opening convocation on the first day of each semester and at the beginning of summer school. A late registration fee of Ks 5000 will be levied on all those who are absent for this appointment. All students who do not complete registration during the published registration period will be charged Ks 1000.00 per working day after the first day. Inasmuch as students are permitted only two weeks of absences without penalty, registration after the second week is not normally possible. 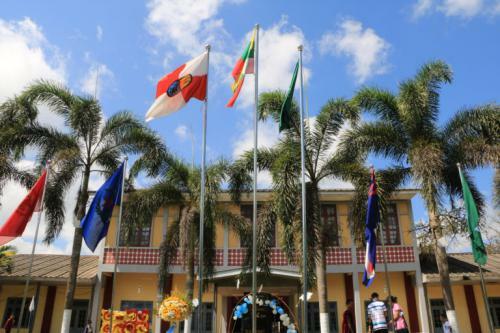 The academic year at MUAS is divided into two semesters and an inter-semester session. All students are expected to register on designated dates as scheduled in the academic calendar. Once a student has registered for a class or classes for any semester, he/she is obligated to pay the required tuition and fees for that semester and will receive a grade for each course, unless he/she formally withdraws. The College reserves the right to cancel the registration or a student who fails to attend classes or who does not make adequate arrangements to pay his/her tuition and fees. Registration cancellation does not eliminate the student’s obligation to pay the accrued tuition and fees. Students are not officially registered to a course until the registration procedure is completed and the instructor has been informed by the Registrar’s Office. Students are not permitted to attend courses for which they have not registered. The dateline for the last day of registration is two weeks from the date when classes (instruction) begin as per the college calendar of events.